Sometimes we all need to hear that we are a pathetic bum from a giant cockroach hallucination. The truth hurts, but it’s necessary. 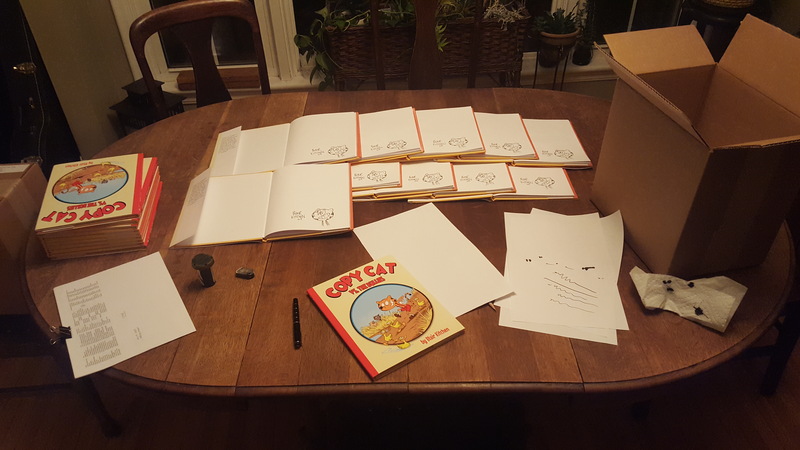 More Copy Cat books being signed! I hate when I’m trying to pee and a giant cockroach strikes up a conversation. 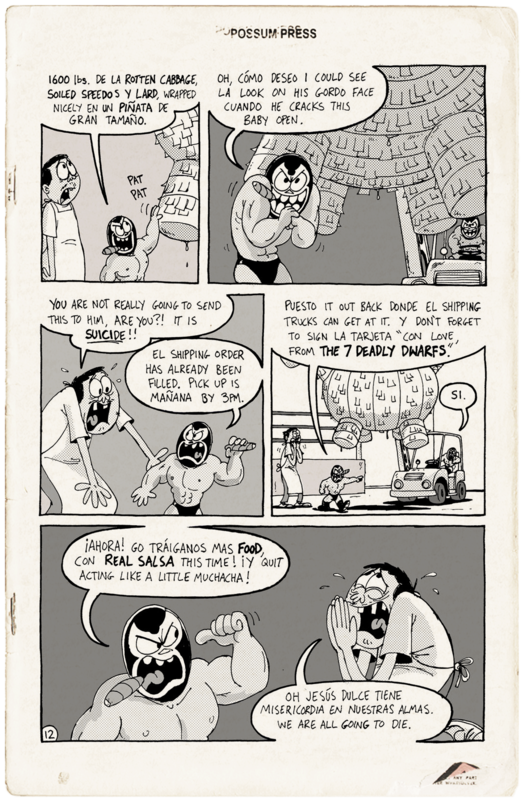 True story: I was giving away some free comics at a convention as a promotion and a father picked up a comic for his son, and flipping to this page said “Hmmm… I don’t think this comic is for you.” Then after a brief pause he said “Oh wait…. That’s his tail…” and all was good! He drank the whole bottle…. Clearly, this little man is not thinking straight! This is a total misuse of soiled speedos, lard and rotten cabbage! Think of the good the could have done! 600 books to sign and sketch in! Here we go!…..
Oh man! Lucky Fat Carlos!! He gets a giant stinky pinata for his birthday! I think Fat Carlos has a legitimate reason to be mad at these guys.